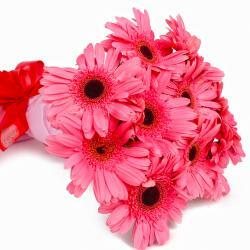 Product Consist : 10 Stem Orange Color Gerberas with green fillers in Cellophane Wrapping with Ribbon Bow on it. 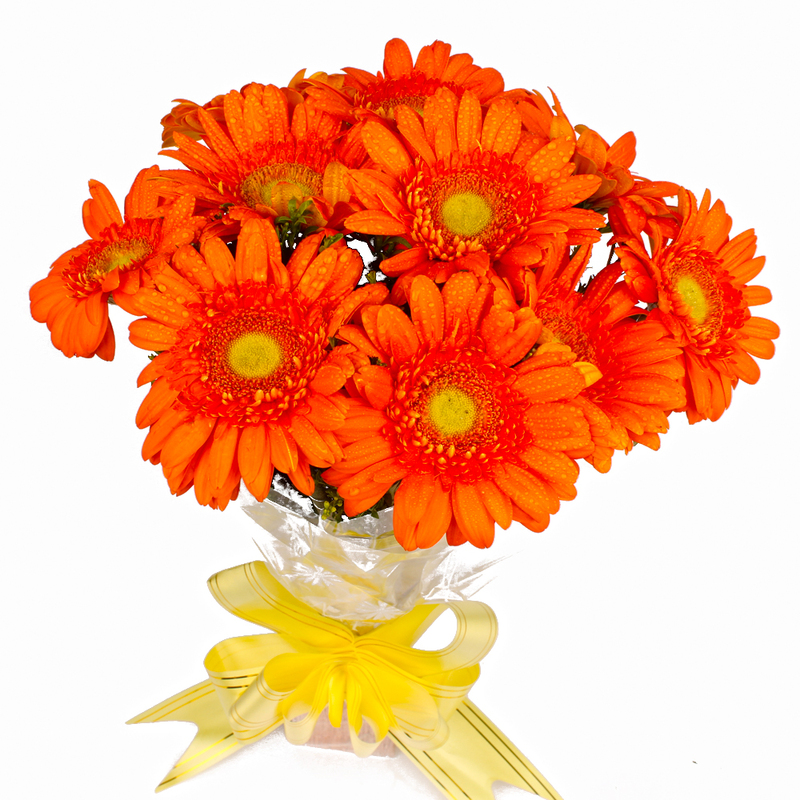 When it comes to pleasant and soothing gifting options, this bunch of Orange Color Gerberas definitely takes Centre stage. 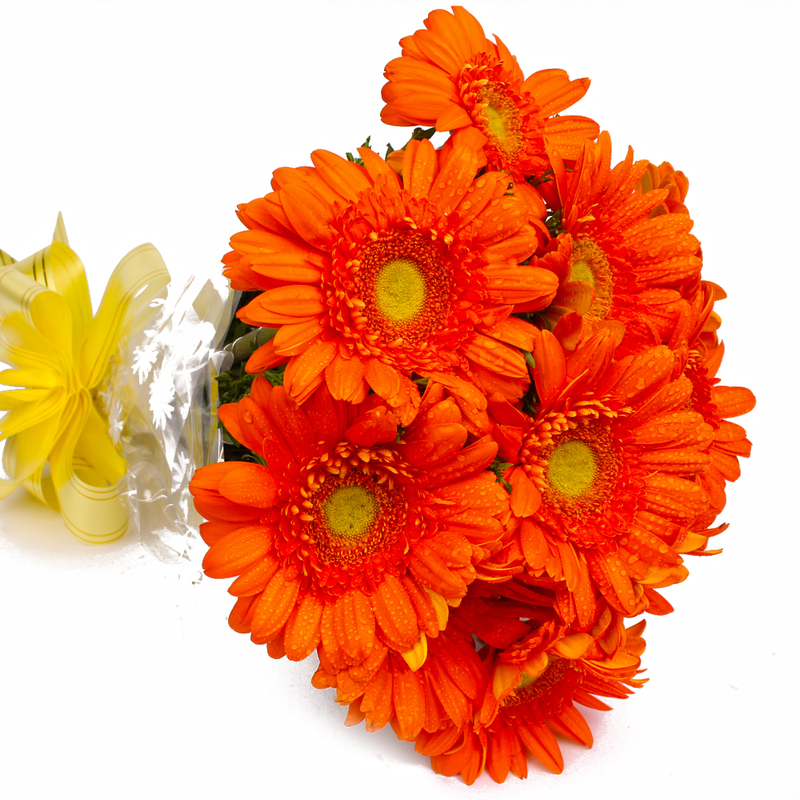 This contains Orange Color Gerberas in all and will please you immensely to say the least. 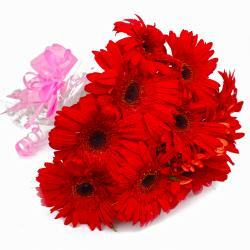 These flowers are delightfully wrapped in cellophane for a more premium look. 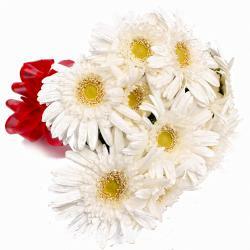 They make for wonderful gift option when it comes to occasions like Birthday, Anniversary, Onam, Parents Day, Engagement. 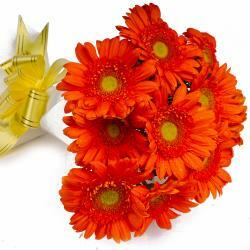 Product contains : Ten Stem Orange Color Gerberas with green fillers in Cellophane Wrapping with Ribbon Bow on it.